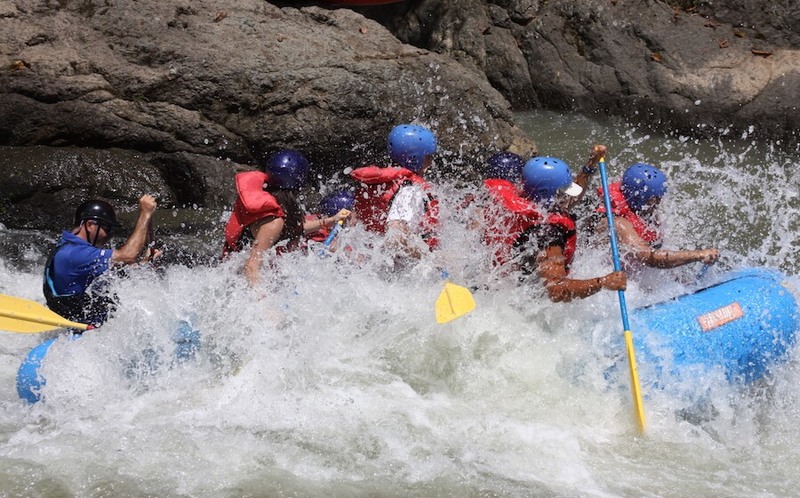 The Pacuare River is famous for its world class rapids surrounded by steep, green walls of rainforest. 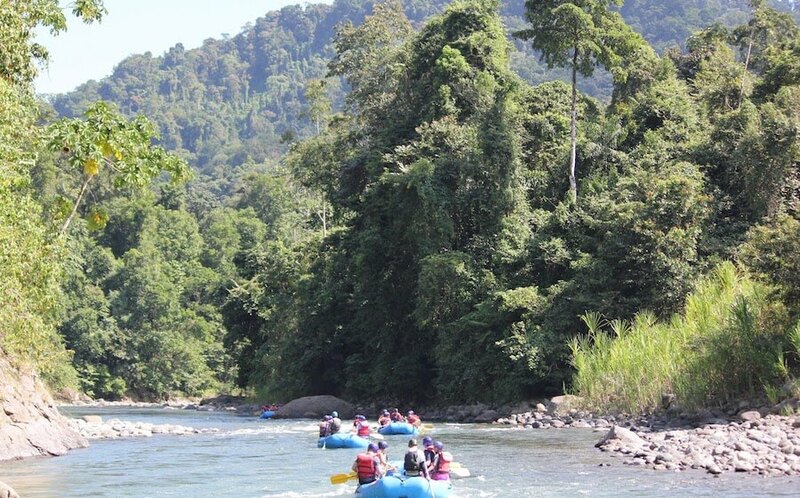 As we make the descent down the river, cascading waterfalls, tropical birds, and amazing views of pristine primary rainforest are sure to be witnessed by every rafter. This tour will set o from Tico Lingo at 5:30am. We will stop to have a typical Costa Rica breakfast at 8am. When we arrive at the river, we’ll all gear up with life jackets, helmets and paddles and be briefed with a full safety orientation. 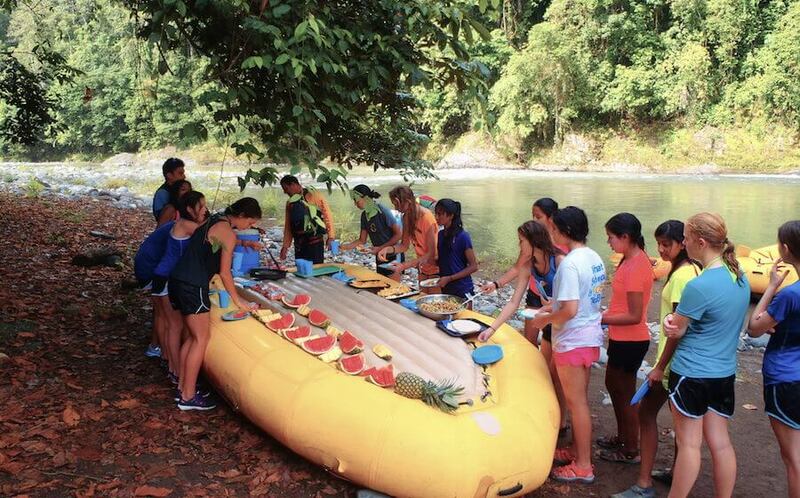 The first 4 miles of river consist of fun class 2-3 rapids which offer rookie rafters the opportunity to practice their new river skills before entering the Pacuare River Gorge. 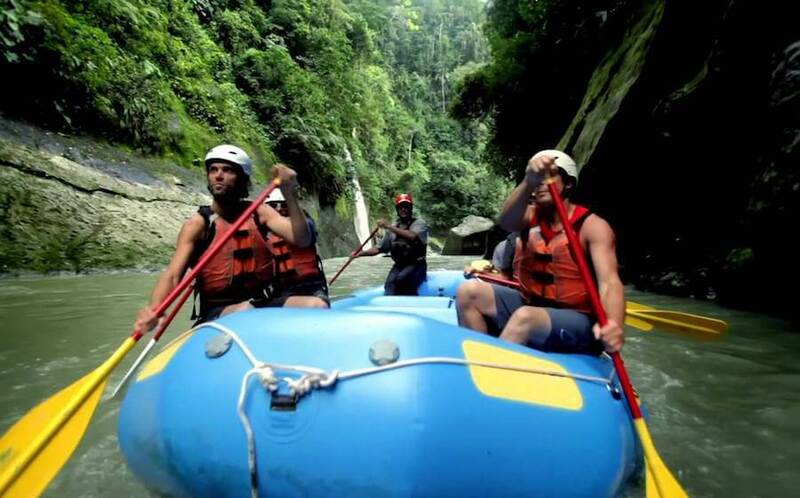 This gorge has 5 miles of some of the best white water Costa Rica has to offer. The river then opens up to a 5 mile stretch on the Valle del Pacuare, where the river is wider and more open. This section offers rafters the opportunity to jump in for a swim and gaze up at the beautiful wildlife. After a total of 4 hours on the river, we will nish in Siquirres where we can take a shower, change and have a well-deserved lunch. We will leave at 4:00pm to return to Heredia for around 7:00pm.